There is no "camping" per se at Oleta as staying in tents is not allowed overnight. But there are a handful of rustic cabins available for people wanting to stay within the park. The cabins are air-conditioned, but other than that, there aren't many other ammenities. Outside, there is an area to make a fire and a grill, a picnic table and a swing and bank on the porch. Cabins have one double bed and a bunk but you have to bring your own linens and towels. 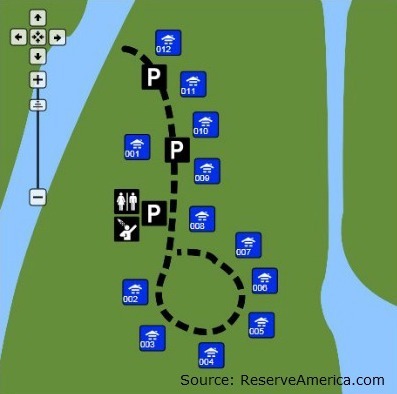 Also check the Oleta Park Map for location of the campground and other facilities within the park. 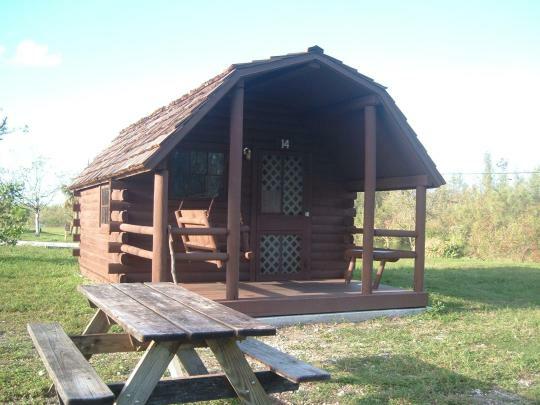 For those with an adventurous spirit that want to get away from the glitz of the city and enjoy a healthy dose of nature, the cabins at roughly $60 per night offer a very affordable option. The camping fee includes admission fee and the use of park facilities such as boat ramps and playgrounds but does not include tour, attraction or rental fees. The number of cabins is very limited, there are only twelve, so making reservations ahead of time is a must. Specially during our "winter" dry season from November through March, try to book as soon as possible to avoid disappointment. Reservations can be made up to 11 months in advance. Rental Rates are $55 per cabin per night. Visitors pay a non-refundable $6.70 reservation fee (per reservation, not per night) when making a reservation online or using the call center. This fee is collected at the time of reservation. There is a $17.75 fee to cancel a reservation any day prior to the arrival date. Any cancellations on the day of arrival or later, will also be charged the first night's use fee. You can make an online reservation via ReserveAmerica.com or call directly 1-800-326-3521.